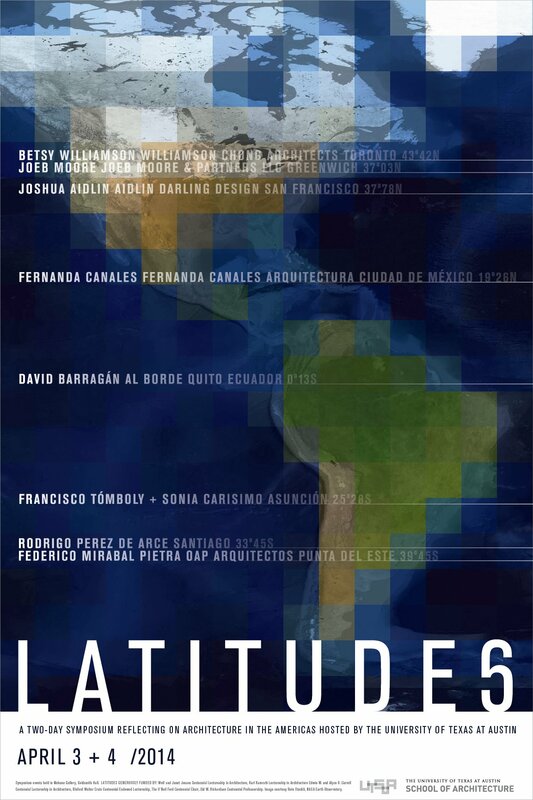 LATITUDE6 Symposium | Williamson Williamson Inc.
Betsy Williamson has been invited to present the work of Williamson Chong at LATITUDE6, a two-day symposium reflecting on architecture in the Americas hosted by the University of Texas at Austin. The symposium will take place on April 3 +4 in Goldsmith Hall, Mebane Gallery, on the UT Austin Campus. As with the first “Latitudes” conference, initiated by the UT Austin Center for American Architecture and Design and held annually since 2009, the ambition of this symposium is to explore the question of whether there is””already, still emerging, or never to be””an “American” modern architecture, that is, an architecture that transcends the North/Central/South America division and that is in some way distinguishable from European, Asian, and other models. Clearly latitude matters, climatologically, geographically, and culturally. But, what are the current challenges for American architects in contemporary metropolises now that post-colonialism and post-modern regionalism are fading into history? Prominent and upcoming practitioners from the Americas will present their recent work in roughly these terms, focusing on the development and execution of a single project in their oeuvre.